Hi, thanks for checking back in again if you are back for more! With all the lengthy, winding and sometimes fairly hard to comprehend Paleo diet guidelines, I will be giving you my simple, natural, easy-to-understand and easy-to-digest version of the Paleo diet guidelines. You probably already know that the Paleo diet can be described, simply, as the eating habits of our hunter-gatherer ancestors. Fortunately however, you and I don't have to hunt wild animals, or gather nuts and berries in the woods just to follow Paleo diet guidelines and eat healthier. These days, fresh, raw and unprocessed food items are readily available in the market, or even at your local grocery store. However, with all the food items available, the difficulty lies in determining which ones you can actually eat because there is so much choice! Well, here are some Paleo diet guidelines to help you get going with your Paleo shopping. In essence, the Paleo diet is more than just a diet. I consider it a bold attempt to live in harmony with nature, which means to say that you will not succeed with these Paleo diet guidelines if you plunge into it out of sheer curiosity or as an upshot of your unpredictable and variable mood swings. You must make a firm decision to live the Paleo life – not necessarily living in caves with the bats and all those slithering reptiles and insects – but by adopting a completely natural way of living and eating only natural food sources everyday for the rest of your life. As soon as you are able to embrace this lifestyle, following these Paleo Diet guidelines, and at the same time delighting in all its goodness, will come easily and effortlessly. 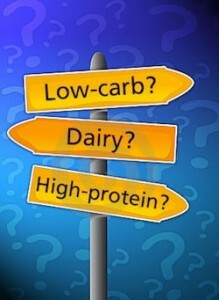 Unlike cave dwellers, we now have numerous food choices, in fact way too many choices! As such, it would naturally seem difficult to stick with such a simple diet with today’s fairly abundant dining choices. However, with these Paleo diet guidelines I'm about to share with you, the only difficult part is the beginning. Once you’ve started, everything else follows and flows naturally and more easily. Remember the rule is being like an ancient “hunter-gatherer”. This means that most food items must be fresh, comprising 65% of fresh meat, fish and poultry, and only about 35% of fresh fruits and vegetables. Also, while fresh fruits and vegetables like carrots, all kinds of berries and turnips are allowed, carb-rich, high glycemic fruits and vegetables like potato, sweet potato and yams are not. Sticking to the Paleo diet gudelines would help protect against common ailments like diabetes, hypertension and certain kinds of autoimmune diseases. 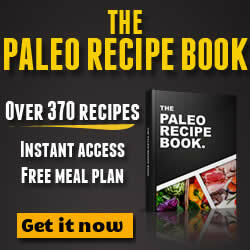 As you look through various Paleo diet resources, you will soon find that there actually are numerous ways of presenting these Paleo diet guidelines. However, regardless of the length, the principle is pretty much the same: Stay away from all kinds of processed food, and eat only those that are raw, fresh and organic. Basically, all that you need to do is to – eat and live SIMPLY, and you’ll never go wrong.